Income investors have struggled to find yield since the financial crisis when the Federal Reserve (Fed) instituted a zero interest-rate policy. Even the move by the Fed last December to raise the benchmark rate for the first time in seven years has offered no relief. In fact, things are now arguably worse. The yield on the 10-year Treasury bond has fallen nearly 1%. With traditional asset classes, such as U.S. stocks and investment-grade bonds, yielding somewhere in the neighborhood of 2% – 2.25%, where are income investors to turn? Fortunately, there are still opportunities for savvy investors who can tolerate some market risk. One such opportunity comes from a relatively small and unloved segment of the investment world, closed-end funds (CEF). (For a brief explanation of CEFs, please check out the description at the bottom of this post.) Aside from a general focus on high-income-generating assets within the CEF space (the average taxable CEF has a yield of roughly 9%), the CEF structure offers a few additional benefits for income investors. For instance, some CEFs utilize leverage (increasing the investable assets through borrowing). Others provide access to various income-centric strategies, such as covered call writing. Finally, CEFs typically trade at a discount to their net asset value (NAV). This allows investors to purchase an income stream at a cheaper price, effectively increasing the yield. For example, investors can purchase a $10 asset that pays a $0.50 per-year distribution for a yield of 5%. If investors could instead purchase that asset at a 10% discount ($9), the yield becomes 5.56% ($0.50/$9). Indeed one of the most valuable aspects of CEFs may be the potential to purchase them at attractive prices relative to their NAVs; but buyer beware. If investors are not careful, they could end up paying much more for a fund than they would otherwise have to. A heightened level of due diligence is certainly required. This type of due diligence is something CLS is accustomed to, and we have a strategy that seeks to take advantage of this very opportunity: Active Income X. In a nutshell, Active Income X is a series of five globally diversified, multi-asset, income-focused portfolios. Each portfolio is comprised of ETFs and CEFs and targets a specific yield, which ranges from 3% to 7% net of fees (more info here). In addition to providing a healthy boost to yield, purchasing assets at a larger-than-normal discount to NAV provides the potential for increased price appreciation. 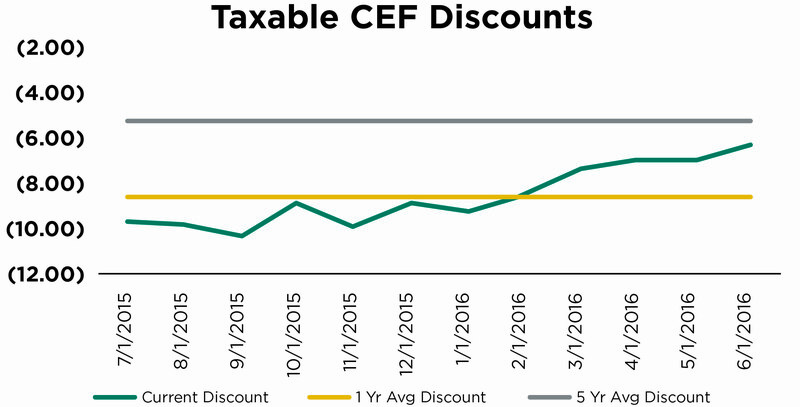 Over the last year, taxable CEFs have traded at an average discount to NAV of about 8.5%. 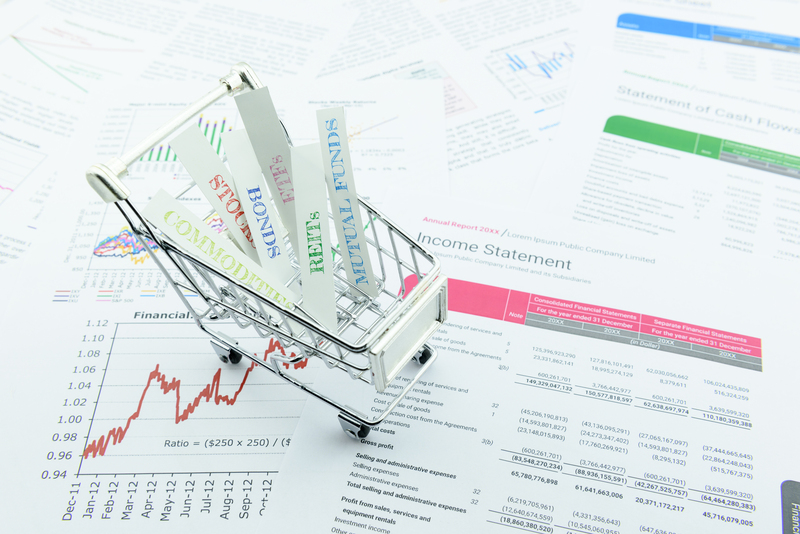 If an investor purchased a basket of CEFs at the beginning of last year, he or she would have scooped them up at an attractive discount of approximately 9.7%. Over the following 12 months, that discount shrunk to just 6.4%. This would equate to a roughly 3.3% return for the investor, without the underlying investments necessarily changing in price. Despite that positive outcome, CEFs are still trading at a larger discount than they have on average over the last five years. This means there is still some potential for continued benefit, though it is by no means a certainty. Active Income X has definitely benefited from this market movement. A closed-end fund is a publicly traded investment, such as an open-ended mutual fund or ETF. Like an ETF, CEFs trade intra-day on an exchange. Unlike an ETF or mutual fund, a CEF has a fixed number of shares. In addition, share prices for a CEF may substantially deviate from the fund’s net asset value (NAV). When demand for shares exceeds the supply, the share prices may trade at a premium (above NAV). When supply exceeds demand, share prices may trade at a discount (below NAV).